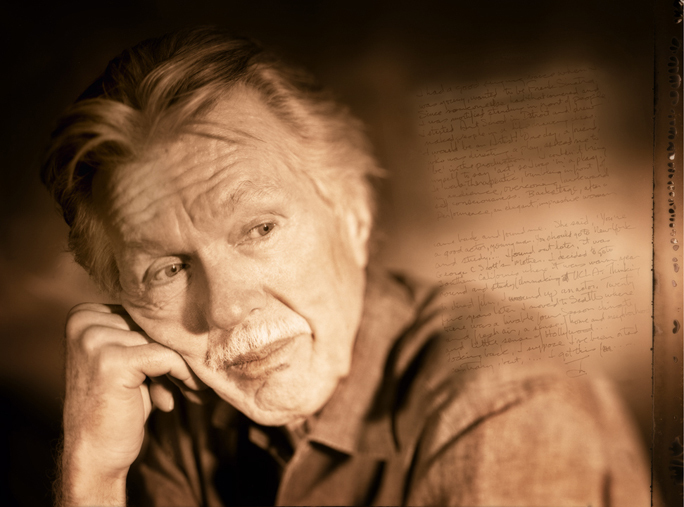 When I think of the shoot with Tom Skerritt, I think of just how nervous I was to meet him. Here is a guy who’s been in dozens of movies and television shows, and has probably been photographed as many times. So what’s he like? He’s very cool – completely humble, a little bit shy, but a great conversationalist. His life sounds like a movie in itself. I found out that the first film he did, he worked for free, and was cast alongside Robert Redford. He also helped cast Bud Cort, and had a bit part in my personal all time favorite film Harold and Maude. The thing about Tom, is that he is so open and down to earth, that he quickly makes you feel comfortable. Not to mention the fact that he is amazingly inspiring – at 74 years old he is directing his first film. This has been what he’s always wanted to do in his life and now at 74 he is living his dream. Like I said – amazing. 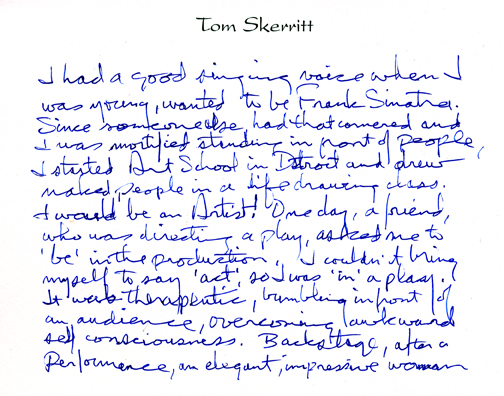 This is the handwritten piece from Tom that is incorporated into the 4×5 portrait. Forty plus years a film actor, Best Actor Emmy Award, “Picket Fences” ’93, Best Supporting Actor , “Turning Point”, National Board of Review ’77. 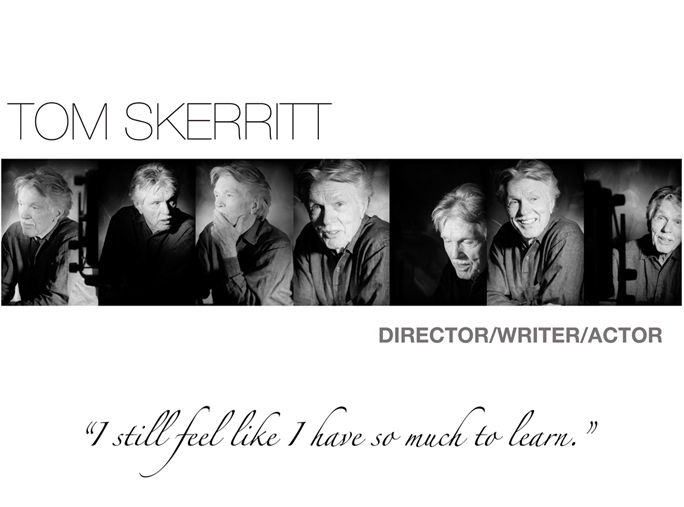 Sometimes playwrite, ongoing screenwriter/director, co-founder of The Film School, painter, father of five, grandfather of five. Lifetime Achievement Award, Wayne State University ’07, Laureate Award, The Rainier Club, ’07. Educated Wayne State University and UCLA Film School.